Locas in Love - "one of the most brilliant indie bands in Germany" and about the coolest people around. The constant members of Locas In Love are Stefanie Schrank, Björn Sonnenberg and Jan Niklas Jansen. They have been joined by different drummers, right now Christian Schneider of Grafzahl plays with the band at home and Sam Lazzara of Brooklyn's finest The Leader in the US. 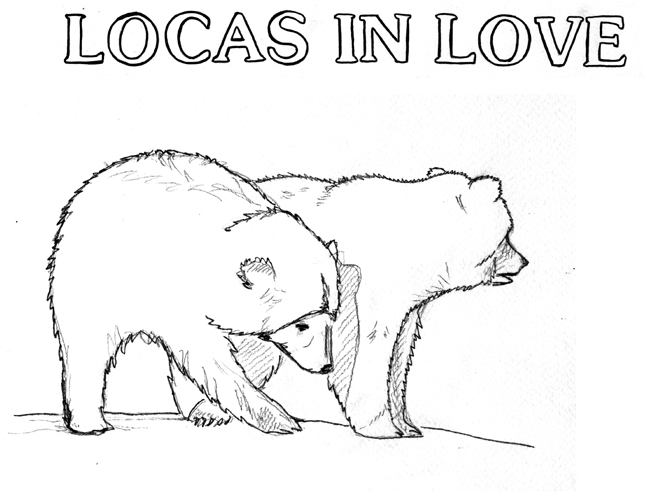 The name Locas In Love has, naturally, been taken from an Hernandez Bros. Love & Rockets book.